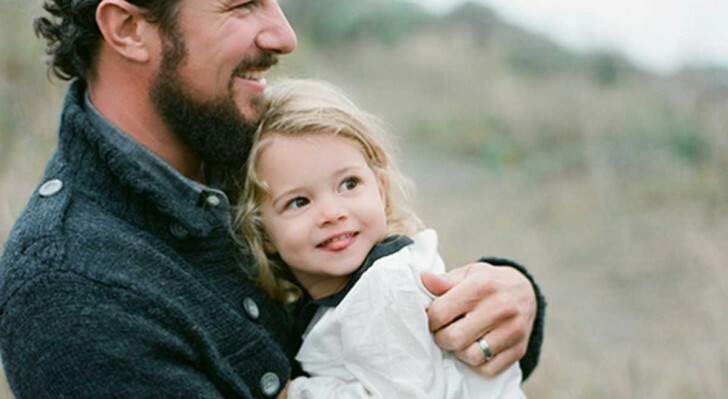 Fathers, DO NOT criticize your daughters’ appearance! EVER! This is my simple advice to all the fathers in the world. Just remember that your opinion about her appearance will be following her (or haunting) throughout all her life. Shall I explain to you why? Your opinion will be the first opinion about herself, that she would receive in her life. Do you want it to be negative? The way you interact with her forms, to a great extend, her expectation of how she would be treated by men in future. Women are usually sensitive to critics, because they tend to be very critical of themselves and especially of their bodies. If the first significant man in their life is judgmental, this would only make them more insecure. In every woman’s life there must be one man who ADORES her unconditionally – however she looks, no matter what. Until she is grown enough to find him herself, you will be in this role. If she truly believes that she deserves nothing but love and respect, she will not put up with anyone who is not treating her right. This will save you one alibi and a few bullets. And when I say never criticize, I really mean it. Not a single occasion is OK for you to show her that she is not the prettiest girl alive. Sometimes it will be difficult. Maybe she is 4, playing with her mother’s dresses, she tries to attract your attention showing you how pretty she looks. It doesn’t matter that you are watching the game on the TV. It will take you 5 seconds to look at her and tell her that she takes your breath away. Maybe she is 10, dirty and stinky, playing football with the boys. Maybe you think that this is not the best scene for a young lady. Just shut up, because she is adorable. Maybe she is 15 and she puts on this terrible makeup just because this is the new fad. It doesn’t matter how ugly it is, you are not fashion police, tell her that she is great but she looks even more beautiful when she looks natural. It is just as important not to be judgmental when you talk to her mother or to any other women for that matter. It is not difficult to raise a lady if you are gentleman, you will just have to accept the role of Prince Charming for a while. This entry was posted in Family and tagged appearance, daughter, father, life choices, parents, self esteem.